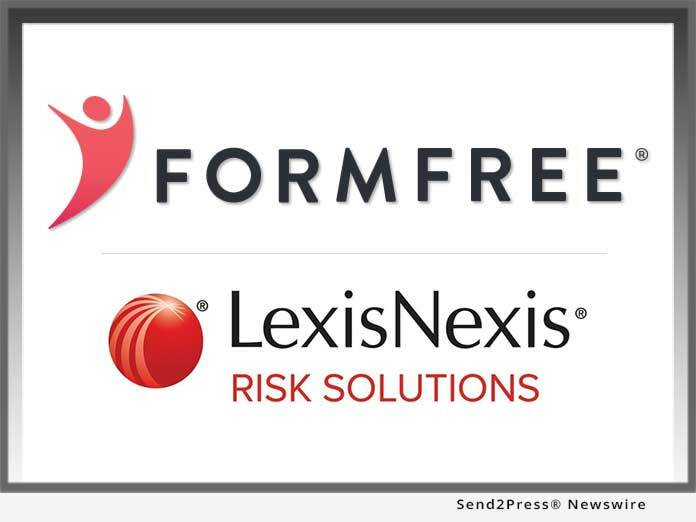 FormFree today announced the impending launch of AccountChek Plus, a new tool for lenders that combines the features of AccountChek, the nation’s most trusted asset verification app, with liens and civil judgments data from LexisNexis Risk Solutions. By giving lenders a more complete picture of borrower ability-to-pay before loans go to underwriting, AccountChek Plus cuts costs, reduces risk and empowers better lending decisions. ATHENS, Ga. /Mortgage and Finance News/ — FormFree(R) today announced the impending launch of AccountChek Plus(TM), a new tool for lenders that combines the features of AccountChek(R), the nation’s most trusted asset verification app, with liens and civil judgments data from LexisNexis(R) Risk Solutions. By giving lenders a more complete picture of borrower ability-to-pay before loans go to underwriting, AccountChek Plus cuts costs, reduces risk and empowers better lending decisions. Underwriters of mortgage loans and other types of financing use liens and judgments data to assess consumers’ payment history and ability to pay future debts. Historically, lenders have sourced this data from consumer credit reports furnished by the nation’s top credit reporting agencies, but on July 1, Equifax, Experian and TransUnion eliminated a significant portion of all liens and judgments data from their reporting. LexisNexis RiskView(TM) Liens & Judgments Report, available to FormFree customers as part of the new AccountChek Plus service, fills the liens and judgments data gap. The report, which is Fair Credit Reporting Act (FCRA) compliant, employs industry-leading technology and hundreds of the most current data points available to ensure more than 99 percent precision in linking debts with the correct consumer. The liens and civil judgments data is delivered along with the award-winning AccountChek asset verification report. AccountChek by FormFree is the new standard in automated asset verification and was the first such service selected for Fannie Mae’s Day 1 Certainty(TM) initiative. Secure and simple to use, AccountChek is a digital app that eliminates the hassle of gathering documents for loans by letting consumers link their online banking, retirement and investment accounts and transmit directly to their lenders the information needed to verify loan eligibility. The result is an easier, safer and more accurate process that closes loans up to 15 days faster. Leading lenders trust FormFree’s automated verification solutions that streamline the loan origination process and provide better intelligence on borrowers’ ability to pay. FormFree’s flagship app, AccountChek(R), eliminates the hassle of collecting paper statements from borrowers by using direct-access data untouched by human hands to consolidate, analyze and verify assets. AccountChek has securely delivered automated asset verification data and on-demand reports to more than 1,000 leading U.S. lenders. A HousingWire TECH100(TM) company for four consecutive years, FormFree is based in Athens, Georgia. For more information, visit http://www.formfree.com/ or follow FormFree on LinkedIn. At LexisNexis Risk Solutions, we believe in the power of data and advanced analytics for better risk management. With more than 40 years of expertise, we are the trusted data analytics provider for organizations seeking actionable insights to manage risks and improve results while upholding the highest standards for security and privacy. Headquartered in metro Atlanta, LexisNexis Risk Solutions serves customers in more than 100 countries and is part of RELX Group, a global provider of information and analytics for professional and business customers across industries. For more information, please visit http://www.lexisnexis.com/risk.